Unbeatable prices this week at Go & Flirt Spa! Massage & Facials package for only $99, Ultrasonic Facial for only $75, Eyelash Extensions for only $75, Manicure & Pedicure $35, Kids Manicure & Pedicure $25!! Pamper your loved ones with a gift certificates for the holidays!! Available for purchase in the spa. http://goandflirt.com/wp-content/uploads/2019/04/GoAndFlirtLogo-smaller.png 0 0 Wendy http://goandflirt.com/wp-content/uploads/2019/04/GoAndFlirtLogo-smaller.png Wendy2017-12-12 12:37:542017-12-12 12:37:54Unbeatable prices this week at Go & Flirt Spa! Massage & Facials package for only $99, Ultrasonic Facial for only $75, Eyelash Extensions for only $75, Manicure & Pedicure $35, Kids Manicure & Pedicure $25!! 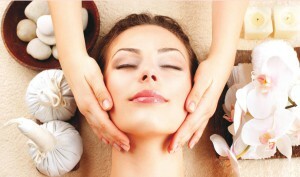 80 min massage & facial packages for only $99! manicure & pedicure $35! Kids manicure & pedicure $25! facials $75! eyelash extensions $ 75! and more! Call us now to enjoy our great deals! We are located in Lighthouse Point, Pompano Beach, Florida. http://goandflirt.com/wp-content/uploads/2019/04/GoAndFlirtLogo-smaller.png 0 0 Wendy http://goandflirt.com/wp-content/uploads/2019/04/GoAndFlirtLogo-smaller.png Wendy2017-12-09 11:06:412017-12-09 11:08:3180 min massage & facial packages for only $99! manicure & pedicure $35! Kids manicure & pedicure $25! facials $75! eyelash extensions $ 75! and more! http://goandflirt.com/wp-content/uploads/2019/04/GoAndFlirtLogo-smaller.png 0 0 Wendy http://goandflirt.com/wp-content/uploads/2019/04/GoAndFlirtLogo-smaller.png Wendy2017-12-07 11:01:022017-12-07 11:38:4380 min massage & facial packages for only $99! manicure & pedicure $35! Kids manicure & pedicure $25! facials $75! eyelash extensions $ 75! and more! http://goandflirt.com/wp-content/uploads/2019/04/GoAndFlirtLogo-smaller.png 0 0 Wendy http://goandflirt.com/wp-content/uploads/2019/04/GoAndFlirtLogo-smaller.png Wendy2017-12-05 12:07:522017-12-05 12:10:207 Benefits of Microneedling, the Hottest Skincare Trend! MANICURE & PEDICURE FOR ONLY $35! http://goandflirt.com/wp-content/uploads/2019/04/GoAndFlirtLogo-smaller.png 0 0 Wendy http://goandflirt.com/wp-content/uploads/2019/04/GoAndFlirtLogo-smaller.png Wendy2017-12-03 13:05:362017-12-15 16:41:51MANICURE & PEDICURE FOR ONLY $35! 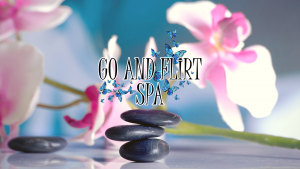 Go and Flirt Spa is now offering specials for our GRAND OPENING in all services! Massage, Facial, Microneedling, Ultrasound Skin Spatula, Kids Manicure/Pedicure, Manicure/Pedicure, Gel Manicure/Pedicure, Acrylics,Waxing, Body Contour treatments, Eyebrow/Eyelash Tint, Eyelash Extensions and more! Call us to book your appointment or stop by and see us today! http://goandflirt.com/wp-content/uploads/2019/04/GoAndFlirtLogo-smaller.png 0 0 Wendy http://goandflirt.com/wp-content/uploads/2019/04/GoAndFlirtLogo-smaller.png Wendy2017-11-29 15:04:172017-11-29 15:04:17OPEN NOW! We are pleased to announce that Go and Flirt Spa is officially open!! We provide the utmost professional and advanced services to all of our clients. 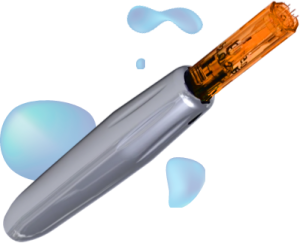 We use modern beauty technology and high-quality brands, but keep our prices affordable for you to relax and enjoy yourself! 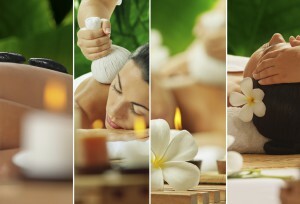 Offering facials, manicures, pedicures, eyelash extensions, peels, body treatments and massages. Take advantage of our Grand Opening specials, and gift certificates for the holidays! We are located in Lighthouse Point , Florida. http://goandflirt.com/wp-content/uploads/2019/04/GoAndFlirtLogo-smaller.png 0 0 Wendy http://goandflirt.com/wp-content/uploads/2019/04/GoAndFlirtLogo-smaller.png Wendy2017-11-28 11:54:292017-11-28 11:58:48WE ARE OPEN! Go & Flirt Spa Cyber Monday Special! Go and Flirt Spa Cyber Monday Special! Call and order a gift certificate for any service and get a free manicure! Pamper that special someone in your life with a gift to Go and Flirt Spa! Great for presents, gift grabs, or stocking stuffers!! Treat your co-workers, Babysitter, friend or teacher!! http://goandflirt.com/wp-content/uploads/2019/04/GoAndFlirtLogo-smaller.png 0 0 Wendy http://goandflirt.com/wp-content/uploads/2019/04/GoAndFlirtLogo-smaller.png Wendy2017-11-27 10:50:322017-11-27 10:51:24Go & Flirt Spa Cyber Monday Special! Celebrating our GRAND OPENING ! Go and Flirt Spa is now offering specials for our GRAND OPENING in all services!! Massage, Facials, Microneeling, Ultrasound Skin Spatula, Kids Manicures & Pedicures, Waxing and more..
80 minutes Massage/Facial for only $100! 80 minutes Body Contour Treatment/scrub/massage for just $100! 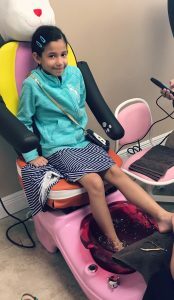 Kids Manicure & Pedicure for only $25! CALL AND BOOK YOUR APPOINTMENT NOW!! http://goandflirt.com/wp-content/uploads/2019/04/GoAndFlirtLogo-smaller.png 0 0 Wendy http://goandflirt.com/wp-content/uploads/2019/04/GoAndFlirtLogo-smaller.png Wendy2017-11-26 06:55:172017-11-27 10:13:25Celebrating our GRAND OPENING !